Nick28T gets enraged quite often during his live Streams. There is nothing odd about that considering how FIFA 19 can be annoying. However, this time, he gets so mad at EA Sports that he said he is done with FIFA 19. 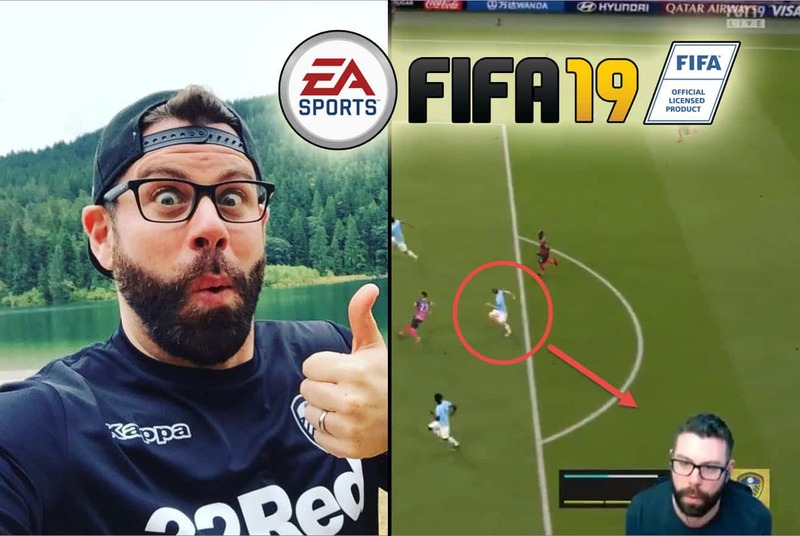 Is Nick28T quitting FIFA 19? Famous streamers like Nick28T are making a living from playing video games. When a person is saying bad things about his or her source of money, then we know that something is really wrong. fANS know that Nick can get angry easily, so there is nothing unusual about that. Anger and frustration is something that we can mostly see in sports games such as FIFA. Not many streamers dare to tag EA sports on Twitter and talk very negatively about their games. Well, Nick28T did exactly that. The following Twitch clip is the reason for what Nick28T did. As you can see, Nick28T was playing Ultimate Team match and was leading 2-1. The game went into the late phase, and only five minutes left on the scoreboard. Everyone who plays FIFA knows how stressful it is when you have minimal lead such as 2-1. You would like to score that winning goal and put the game to bed. Nick28T is quitting FIFA 19 because he cannot bear this frustration anymore? It seems like famous FIFA streamer had a pretty rough time yesterday as he claimed he was done with FIFA. This time, he had numerous attempts and hit the cross bar a few times. Nick28T asked: “Is this actually happening? Is this real?” He added that he can’t even be mad. But then, like it frequently happens in FIFA 19, his opponent came to Nick’s half of the pitch and easily scored. He said a few bad words about EA Sports. Does this mean that Nick is quitting FIFA 19? Or was frustration temporary as many FIFA players have experienced?